I envy him the meals he is still collecting. We didn’t have much of a season here, and it is over. We need rain! I took this picture of our granddaughter last week just outside the Page Museum at the La Brea tar pits in Los Angeles. I guess this is a bit of a teaser as I’ll have another post soon with pictures of what we saw inside the museum. I have to point out that our visit there was a huge hit with Bella, who was fascinated with the mammoths and saber-tooth cats. (Gil Stacy, who is the MAN on the M37). 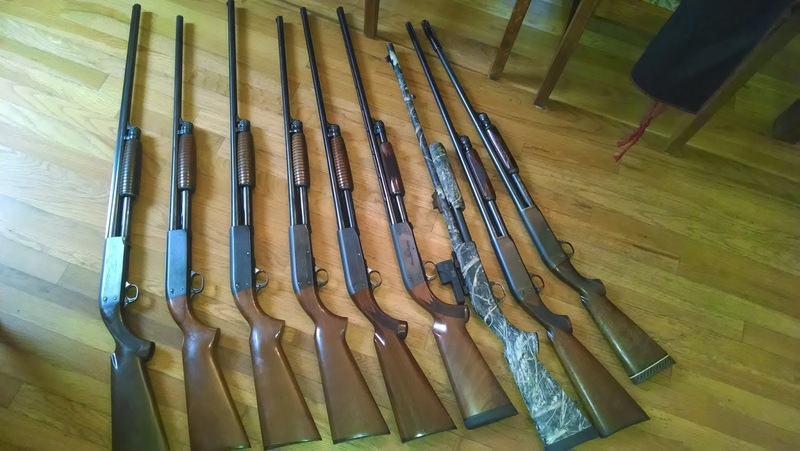 We’ve enjoyed a fairly quiet winter in western Wyoming, and are thrilled with the recent series of snowstorms and blizzards hitting our area. We’ve been in a drought so long it was somewhat a pleasure when I buried the feed truck in deep snow this morning. Even though I was sure that the snow would eventually melt and I could retrieve the truck at that time (can’t be more than a few weeks, right? ), husband Jim gave it a few tugs with another truck and freed me. 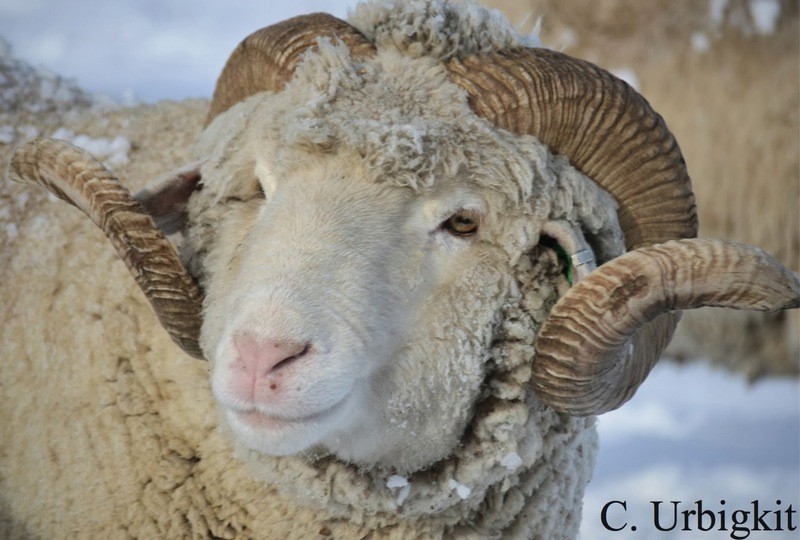 We had high prices last fall during shipping, so we reduced our sheep numbers, and now learn that feeding a small flock within the one-mile pasture around the house is an easy winter chore. 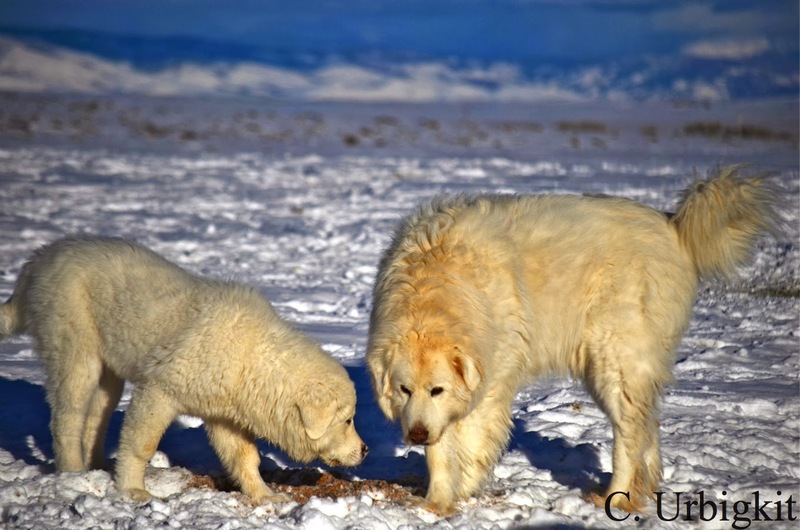 Our winter guardians, in addition to three burros, are three female Akbash guardian dogs, all of the same lineage. After her battle with wolves last fall, Rena healed up nicely. We wondered, and feared, how she might react to predator challenges after such an aggressive fight in which she nearly lost her life. Rather than having fear or aversion, her reaction has been the opposite – she’s a terror on four paws, and seems to have a chip on her shoulder when it comes to the coyotes in the neighborhood. Rena is joined in guardian duty by her nine-year old mother Luv’s Girl, and her four-month old half-sister Beyza. Following the Tajik tradition of selecting the pup with the bold carriage, I selected Beyza from her littermates because of her swagger – her tail is often held high, curled over her back, and she has aggressive guardian tendencies, even at this young age. She now goes charging out with mother and sister when a threat is perceived. Our jackrabbit population continues to be depressed, with a corresponding decrease in the number of golden eagles wintering here. 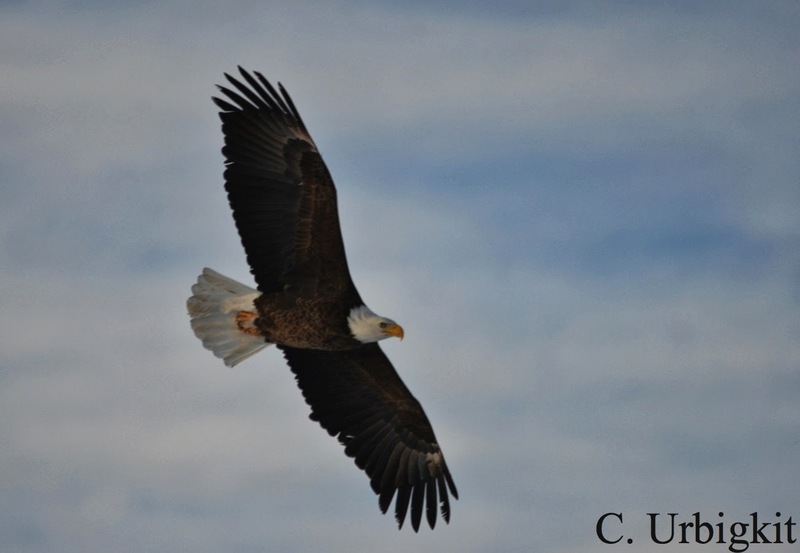 Many more bald eagles are concentrated on road-killed animals. With Jim home taking care of the critters, in between traveling to speak at conferences, I’m spending as much time as possible working on books, with one adult nonfiction title set for release this fall, and a second recently completed nonfiction manuscript under consideration at a publishing house. I’m hopeful that by the end of the year I can get back to the world of books for young readers, but the publishing world continues to undergo upheaval and finding my place in it is like walking blindfolded. Thesis: Sydney Vale, not a birder, called a female Sparrowhawk a ‘Goshawk’. See especially the larger female in Liam O’ Broin’s book, lower right. Dutch wins his own Desert hare Classic! Keith Brady sent down this wonderful video on Chernobyl from Canada. I would have eaten the old lady’s vegetables– would you? As Keith said, “She’s a peach – got a lot of blood in her body….unlike the BBC guy.” If this were a YouTube I would have embedded it. Read Mary Mycio’s Wormwood Forest– in Amazon but the link won’t work– for more background. Annie Davidson sent this pic– no link– via the San Diego Natural History Museum, of a horde of 33 round tailed horned lizard skulls found while cleaning out an America Kestrel nest box in the Chiricahua Mountains of southern Arizona. As we have both species, I must check out some nests; I would love to find a similar one. It looks like an Asian Buddhist skull rosary, and you could make a variant.. Younger people don’t know, and older ones forget, that it was not only (or even) liberal Democrats who saved our wilderness areas in the last twenty or thirty years. The always contrary (and always interesting) Dave Foreman reminds us, here of what the PC would think of as some unlikely wilderness advocates. Remember (judge, senator) Jim Buckley? Libby’s late parents were of that ilk too.